Gujarat’s traditional snack, the Khakhra will make sure your snack time is always full of flavours. 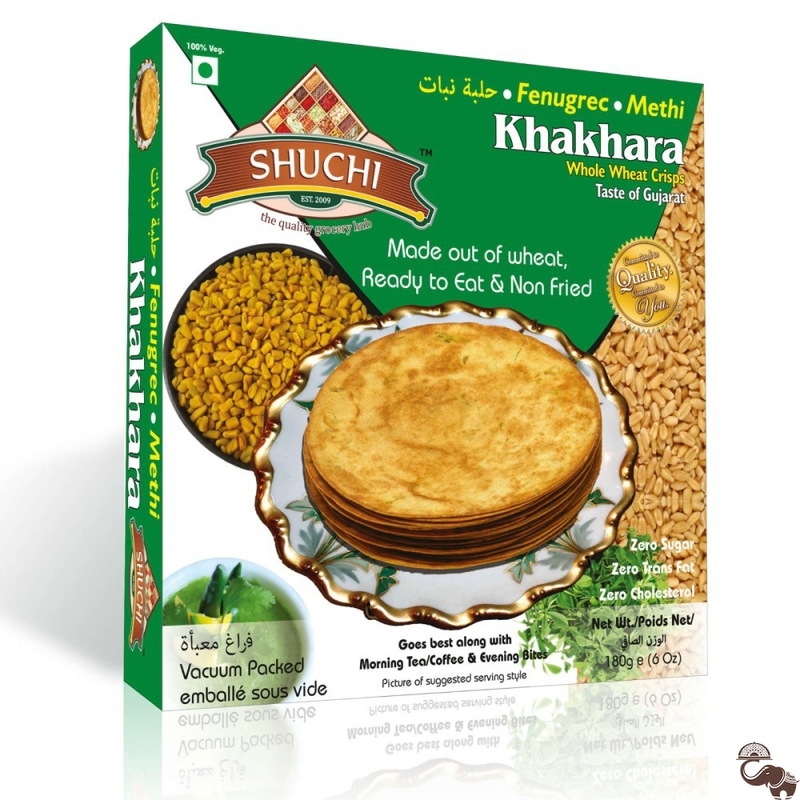 The Methi Khakhra from Shuchi is made from the finest blend of ingredients like wheat flour, spices and methi which not only makes it a flavourful snack but also a healthy one. Savour these thin, crispy roti shaped snacks whenever you’re hungry for a quick snack.